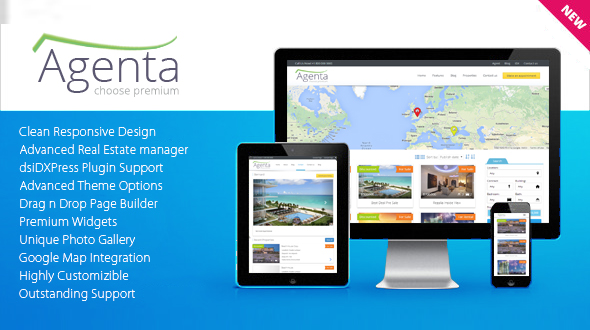 Agenta is Real Estate and also Rental template for WordPress. It allow you to create your own real estate business website easily by using Drag and Drop Page builder and various integrated shortcodes. dsIDXpress WordPress plugin is supported and we are making use of advanced template customization. You can choose between color variations, Install demo site similar to ours in seconds. Extensive documentation cover all various parts of the template and we are tuned to answer your feedback and questions.